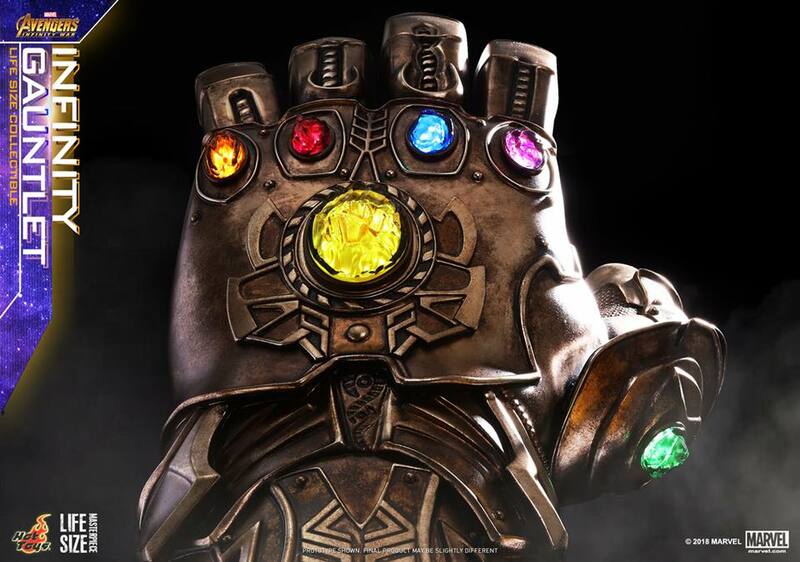 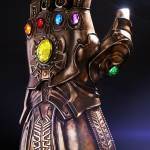 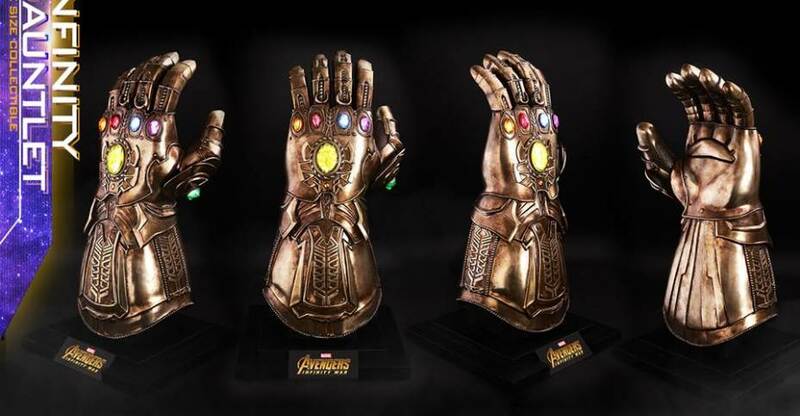 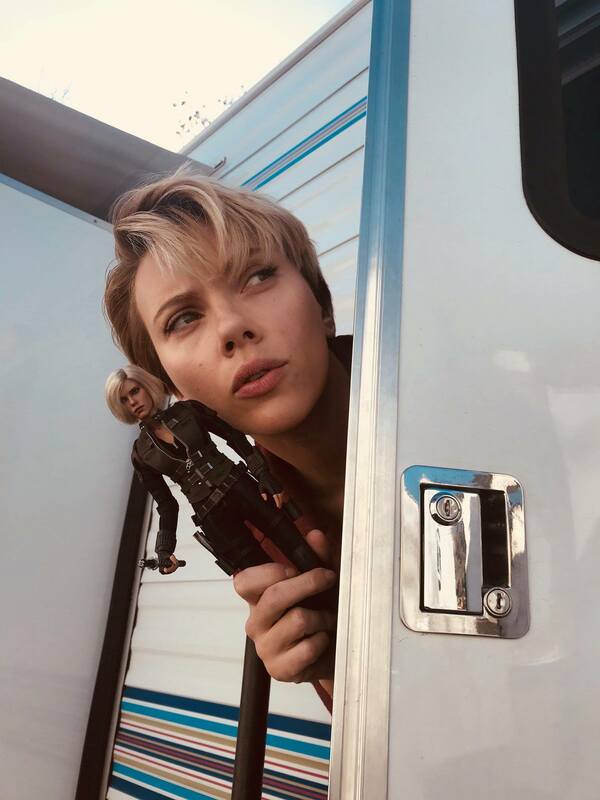 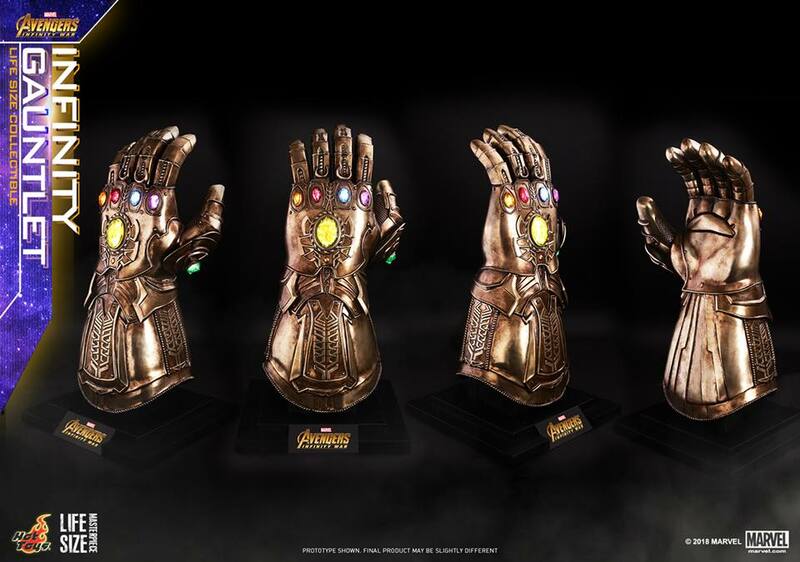 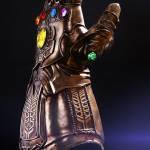 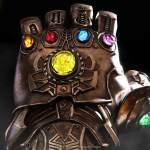 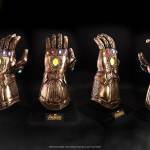 Hot Toys has begun revealing their own line up of Avengers Infinity War collectibles. 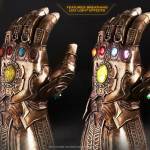 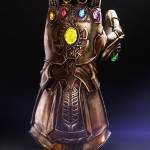 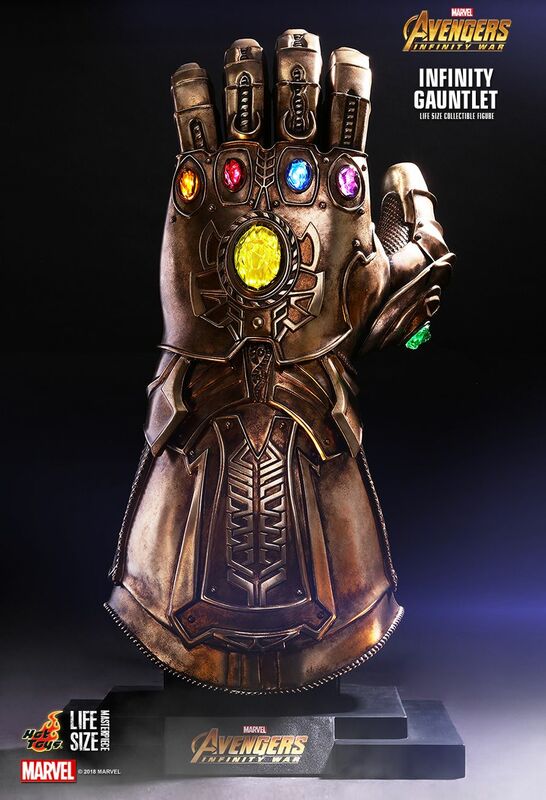 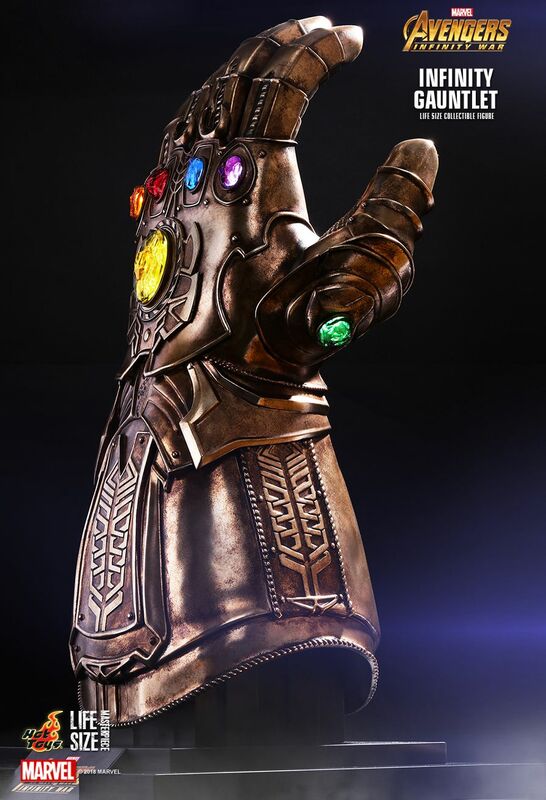 First up is their own take on an Infinity Gauntlet Life Size Replica. 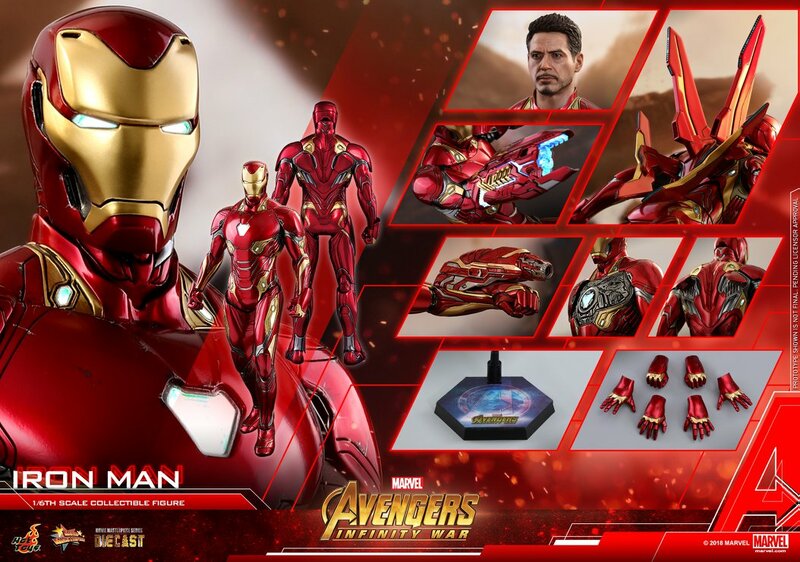 Unlike the Hasbro version, it doesn’t appear as if this will be wearable. 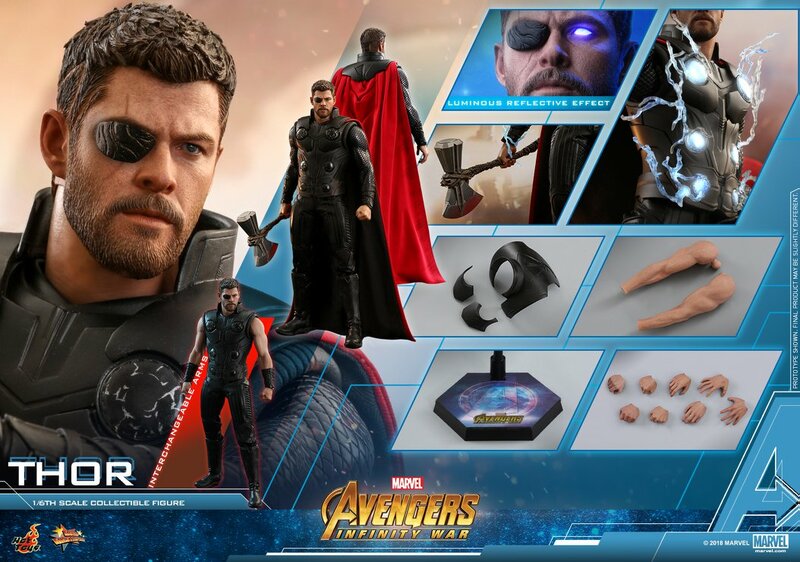 It’s cast in Polystone with a themed display base. 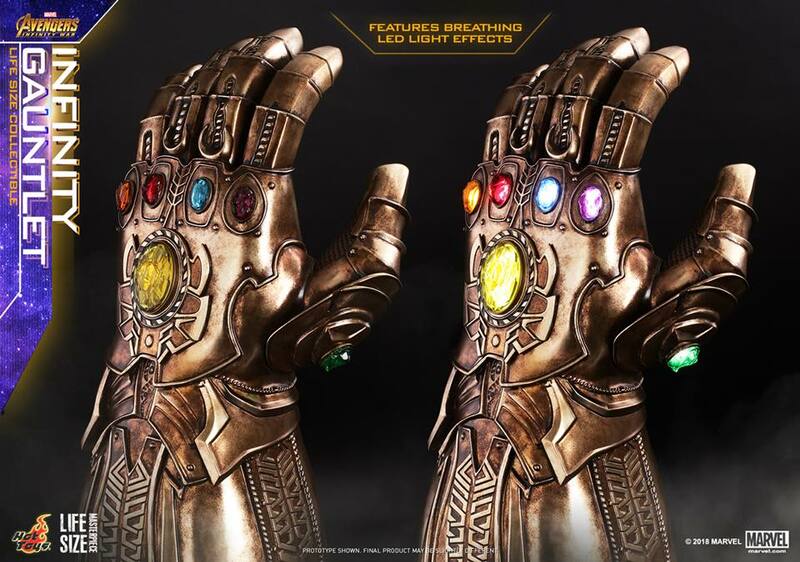 It also has light up effects for the Infinity Stones. 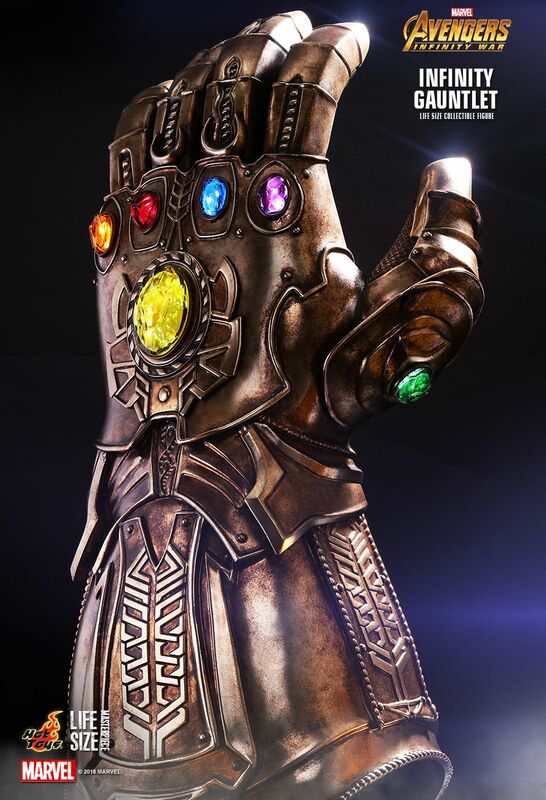 This is due for release between the end of the year and early 2019.